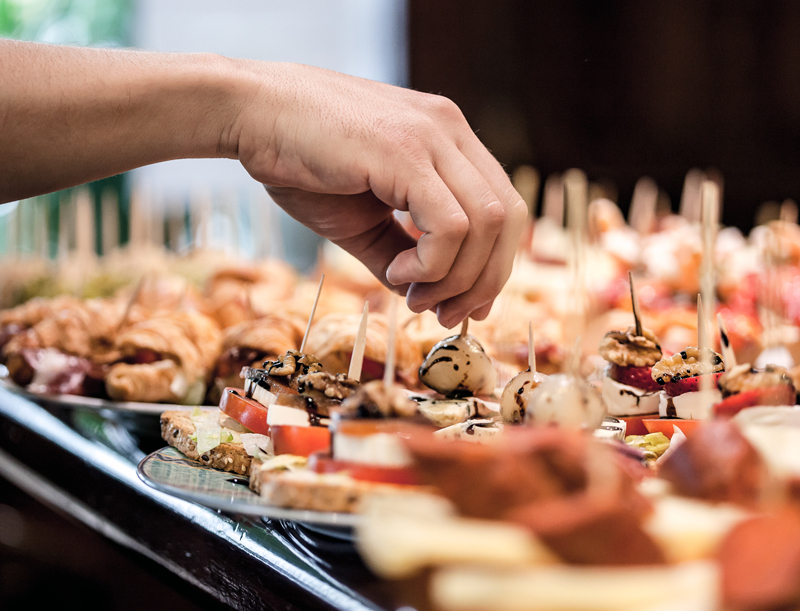 Come and try our pinchos! Every evening, weekends and holidays. 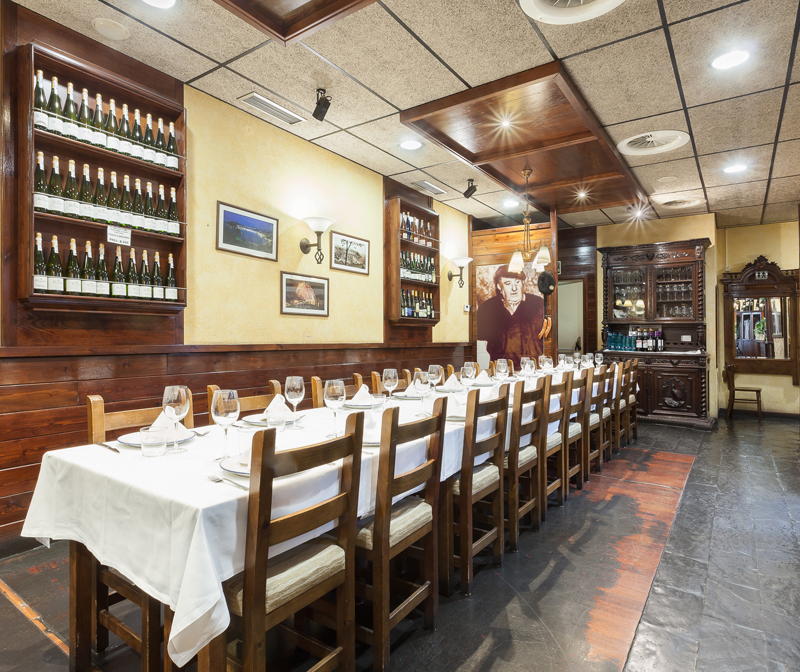 Come and enjoy the best covered terrace in Girona. 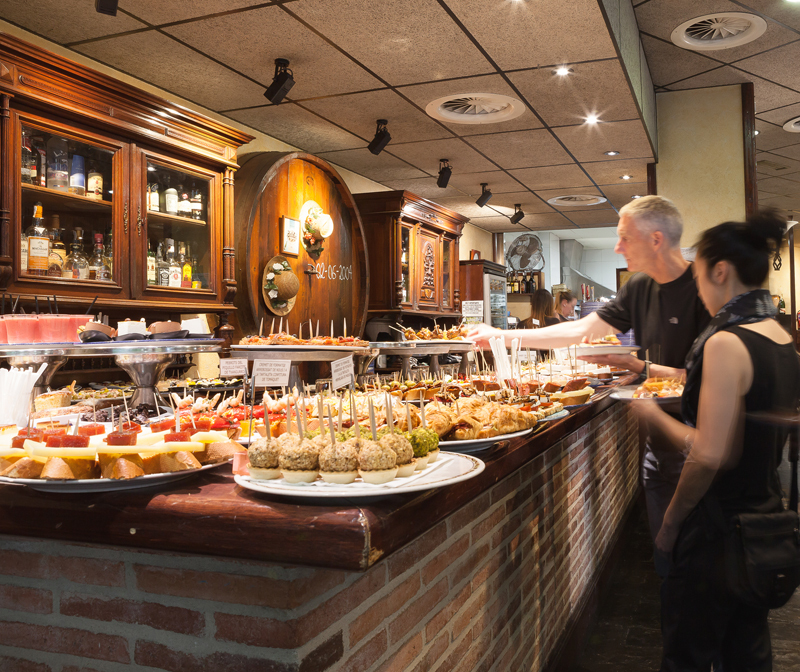 Come and try the best selection of hot and cold pinchos of Girona. Sweet, salty and spicy for all palates. Every afternoon, weekends and holidays. 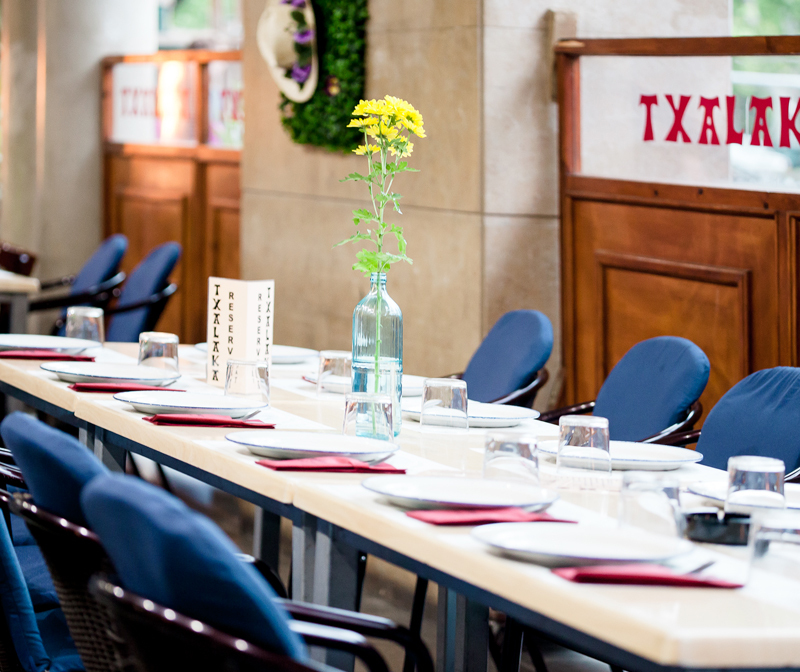 Txalaka combines authentic Basque kitchen with typical recipes from Mediterranean cuisine. 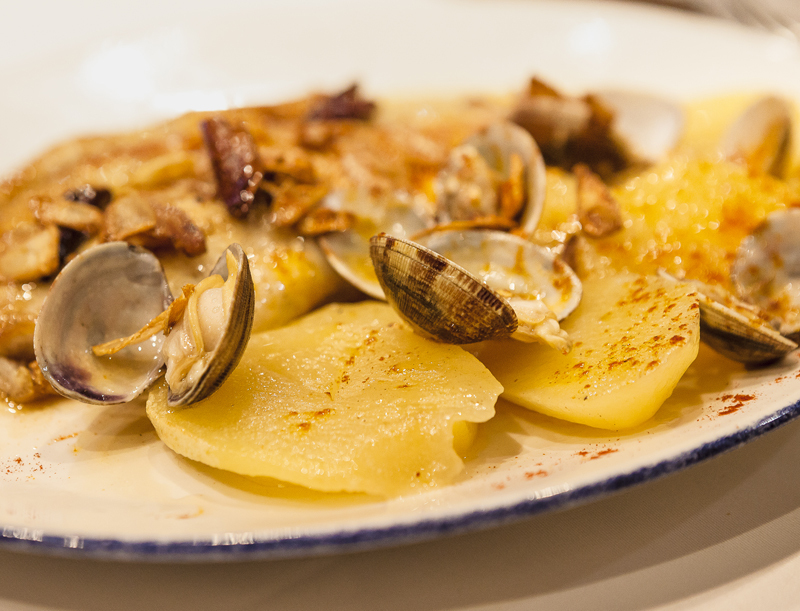 Always with the fresh and cooked ingredients at the moment to offer you the best dishes. 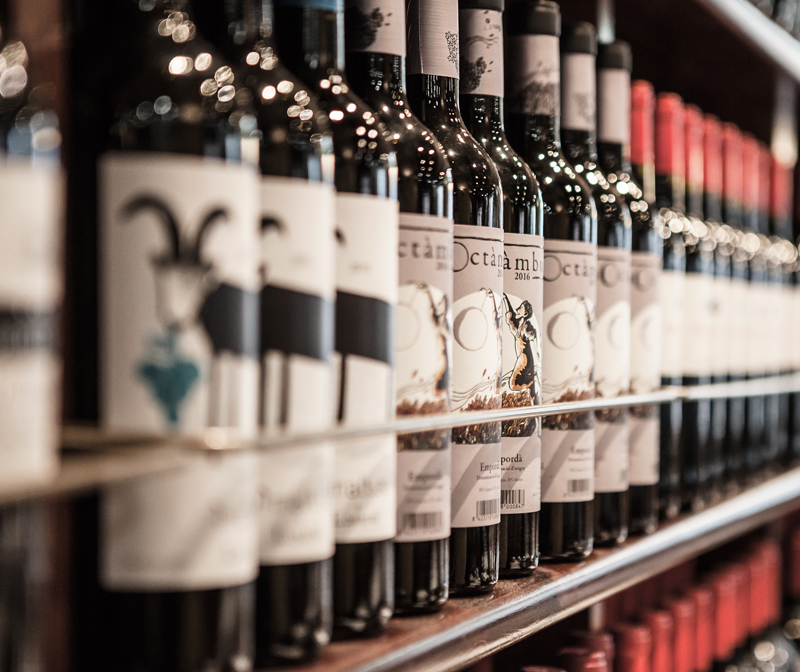 We offer all kinds of menus for all tastes: Donosti Menu, Eusko Menu, Pica-Pica Menu and Cider Menú. Do not hesitate to ask for more information about them. 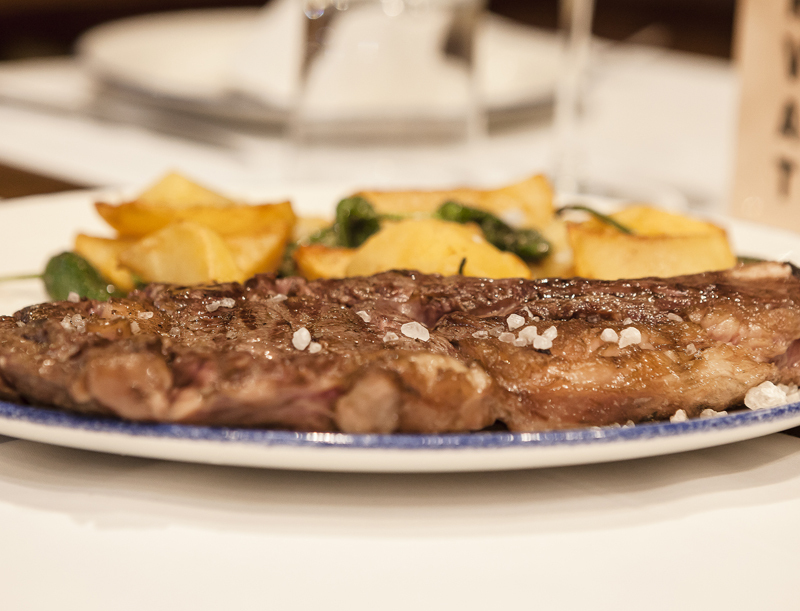 Do you dare to try our beef entrecote? 500 Gr. 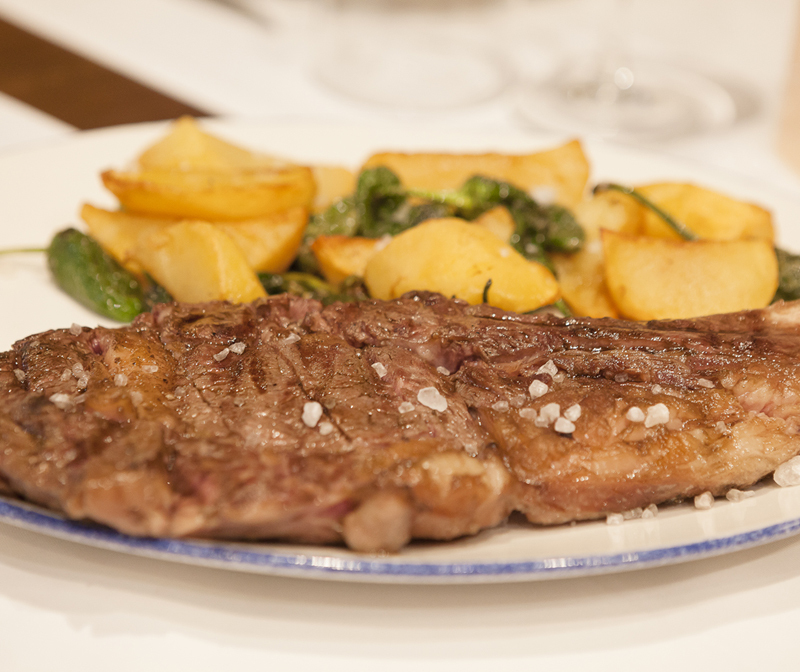 Of authentic beef entrecote newly arrived from the Basque Country. 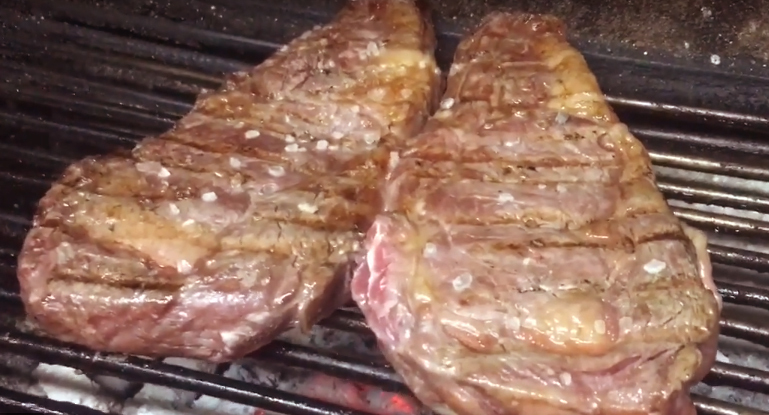 Tasty, ripened and cooked on the grill, will delight all palates who love good meat.